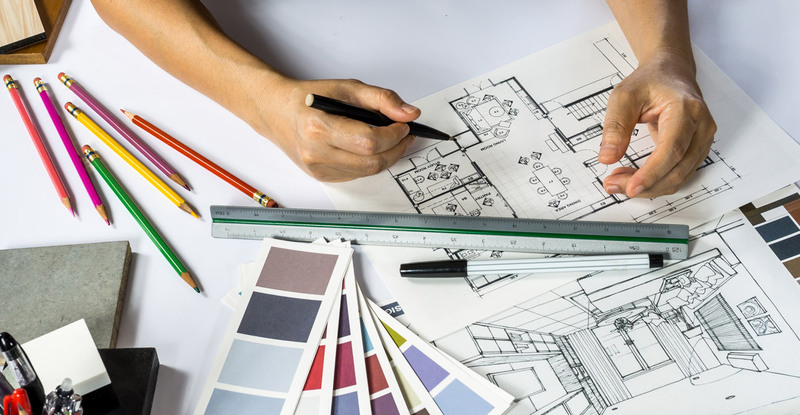 Interior design is a course that focuses on people who have an inclination towards designing places and are willing enough to apply skills in interpreting and developing the project. In a career like this, you need experience and an eye for detail. As a practice to become a better version of yourself, try and observe carefully what you prefer, and then ask yourself if you can turn an outmoded thing into a fresh work of art. A lot of people confuse interior designing and interior decoration, but both of these things are entirely different. When talking about interior designing courses, it involves knowledge of structure and space in the various specialist areas of interiors like residential, projects in retail design, public spaces and exhibition design etc. The course will provide you with a clear and fresh perspective of how the industry functions and the technical knowledge and understanding of the construction spaces. For you to survive in the industry, you will be taught different methodologies to develop a concept proposal through its correct representation. Interior design colleges in Mumbai or any other metropolitan cities focuses on creating an artistic mindset. Whatever work you will do will be based on the client’s requirements and intuitively gauging what will fit their needs and be of optimal utilisation. Following are some of the less known things that you should keep in mind if your aim is to become an interior designer. First and foremost, the colour pallet is an important task when it comes to this field. In an interior design courses in Mumbai, you will be taught the basics of colour dynamics and how it might affect the ambience around. You will also be taught about the behaviour of different fabrics and how these simple things can completely change the whole ambience. As you might have noticed that people consciously or unconsciously notice small things like drapes and upholstery. In the end, it is you, the designer who adds panache to the decor. For any person, the utility of the space is one of the significant concerns. What you need to do here is to ensure optimal utilisation of space and how the surrounding might look like. Another thing you should keep in mind is- a significant amount of knowledge of space and design. When talking about technology, it has evolved so much wherein the designer and the client can look deeply into space and utilisation and design. You might think how will this exactly work for you? It will help you design quickly and easily, for instance, you will be able to create various versions of one single furniture, effortlessly. If after reading this article you feel like this is precisely what you want to do and be then Pearl academy is one of the finest interior design courses in Mumbai. The institute will help you better your portfolio and provides you with an edge over other students. If you want to know more about interior design courses in Mumbai with fees, then you should check out their website.